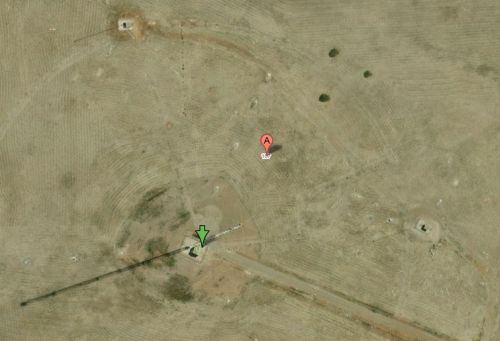 The antenna site above is part of Reynella, a city about 20 km South of Adelaide. 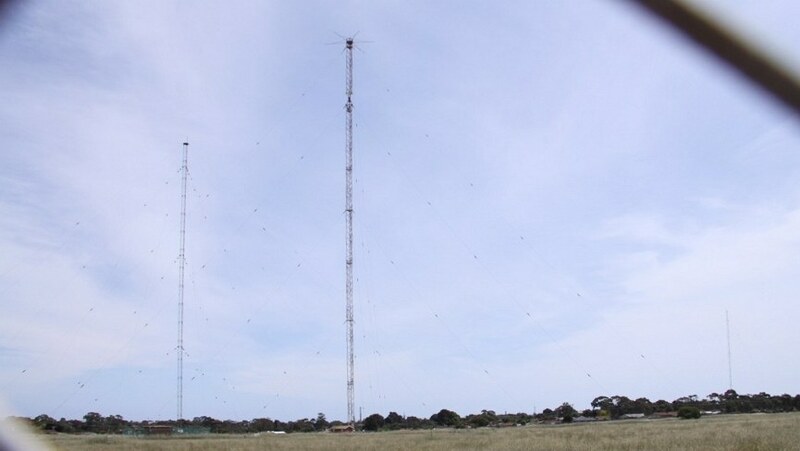 The main antenna in front broadcasts simultaneously on 729 kHz and 891 kHz with 50 kW each. 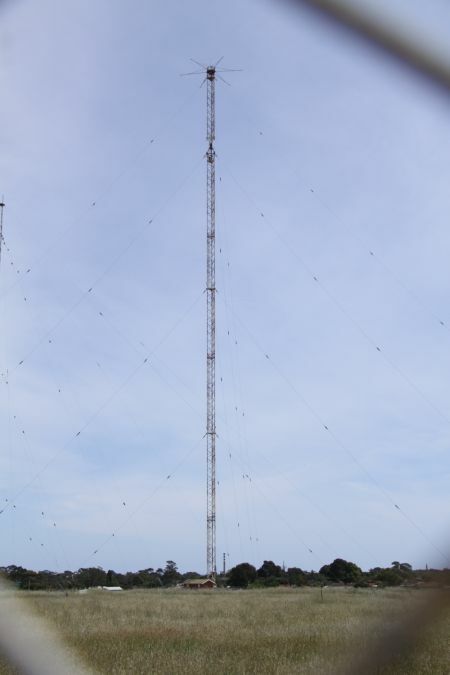 The two other masts are used in case the main antenna fails. They operate on the same frequencies with the same power. In both cases the radiation patterns are similiar. The differences of reception field strengths caused by the main antenna and the auxiliary masts are not more than 1 to 2 dB. There is an insulator in the upper part of the mast. uses the whole length of the mast ( including top load ). ). The station 5AN (ABC Radio) on 891 kHz uses the lower part up to the insulator. The RF power of each station is 50 KW. 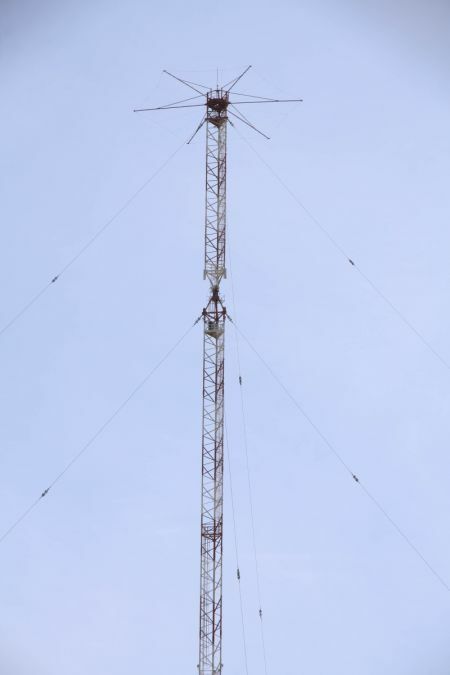 The insulator in the upper part of mast seperates the antenna in two sections. The insulator is bridged by a rejection filter for 891 kHz, which decouples the top part for this frequency. For 729 kHz this filter acts like a coil, connecting the lower part to the upper part.